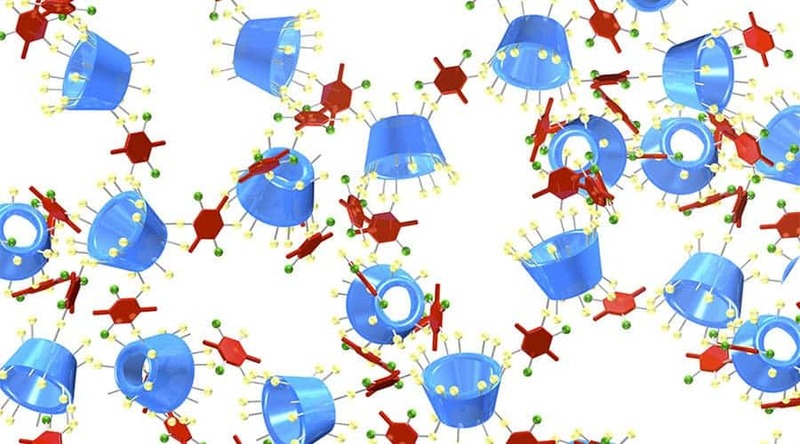 Scientists have developed a new polymer that can clean water of tiny impurities and pollutants in a matter of seconds. This could revolutionize the water purification industry, not only saving numerous lives, but saving a lot of money and energy in the process. The team was led by Will Dichtel from Cornell University in the US. Cyclodextrins are produced from starch and are commonly used in foods, pharmaceutical, drug delivery, and chemical industries, as well as agriculture and environmental engineering. This porous form of cyclodextrin has adsorption rates much higher than traditional filters – up to 200 times more. “What we did is make the first high-surface-area material made of cyclodextrin combining some of the advantages of the activated carbon with the inherent advantages of the cyclodextrin,” Mr Dichtel said. He also mentioned that the material will be extremely quick in cleaning the water. “These materials will remove pollutants in seconds, as the water flows by,” he said. Not only is the polymer very fast and efficient, but it’s also cheap and recyclable. While most carbon filters must undergo specific heat-treatment for regeneration, this one can simply be washed at room temperature with methanol or ethanol. Even Dichtel was surprised at how efficient it can be.